QuickDraw: *free comics for YOU! 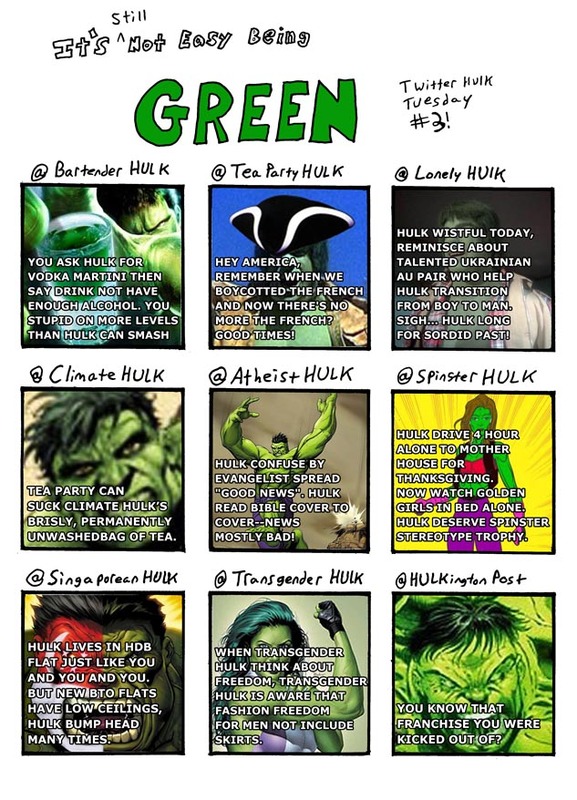 * - It’s Not Easy Being Green – Twitter Hulks part Three! It’s Not Easy Being Green – Twitter Hulks part Three! Just can't get enough of that green goofiness.